Bring a modern and contemporary charm to your patio, deck or garden with the 3 Piece Fiber Clay Planter Set by Pure Garden. 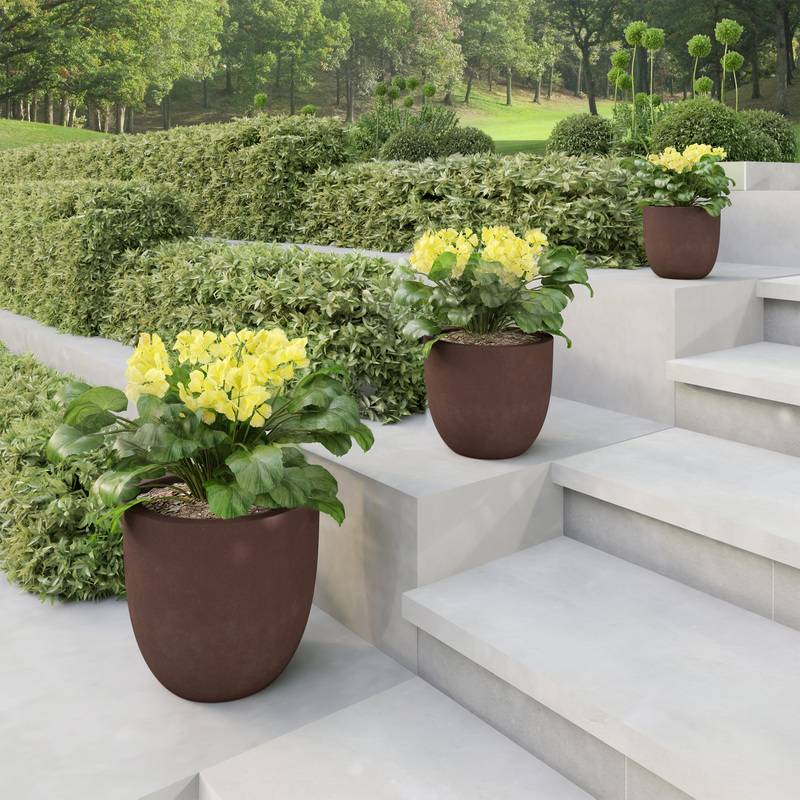 Each planter in this set is made of a mix of clay and fiberglass to be a lightweight alternative to concrete and for durability in almost any climate and weather condition. This set of pots is hand finished for a unique look that is sure to complement almost any home décor. Each pot features drainage holes so that your plants aren’t damaged by excess water in the soil. These planters can be used outdoors on your deck, patio or in your garden beds and indoors with a saucer or plate to catch excess water. Each pot in this set is sized differently so you can choose the correct planter for your needs. LIGHTWEIGHT MATERIALS - This modern and contemporary planter set is made of fiber clay. The mix of fiberglass and clay is designed to be a lightweight alternative to concrete and give durability in almost any climate or weather condition. 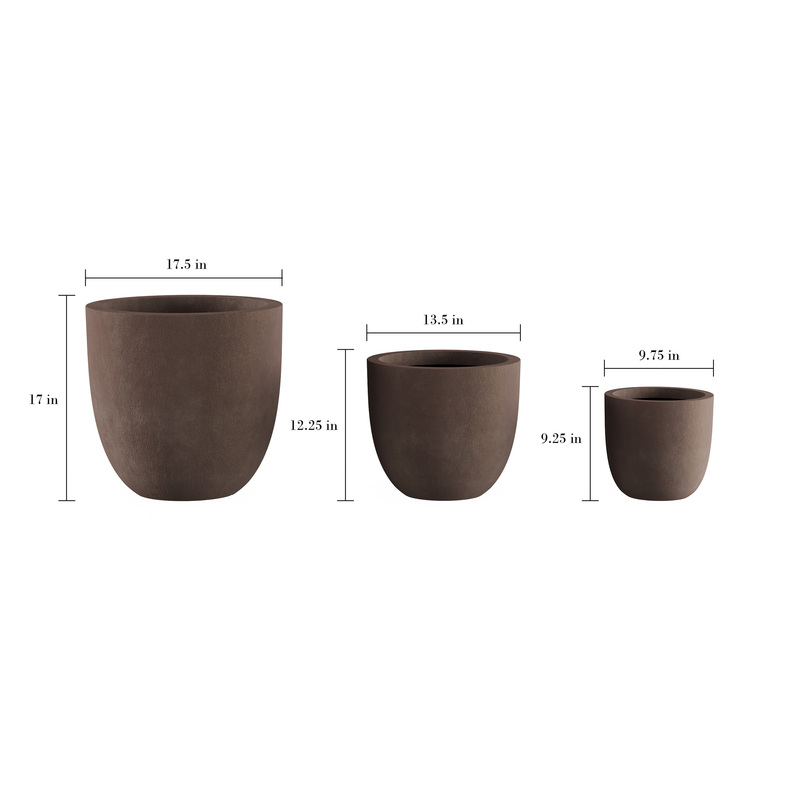 SET OF 3- This set comes with three planters. This allows you to choose a pot that best suits your herbs, flowers or house plants for them to be their most healthy and beautiful, season after season. 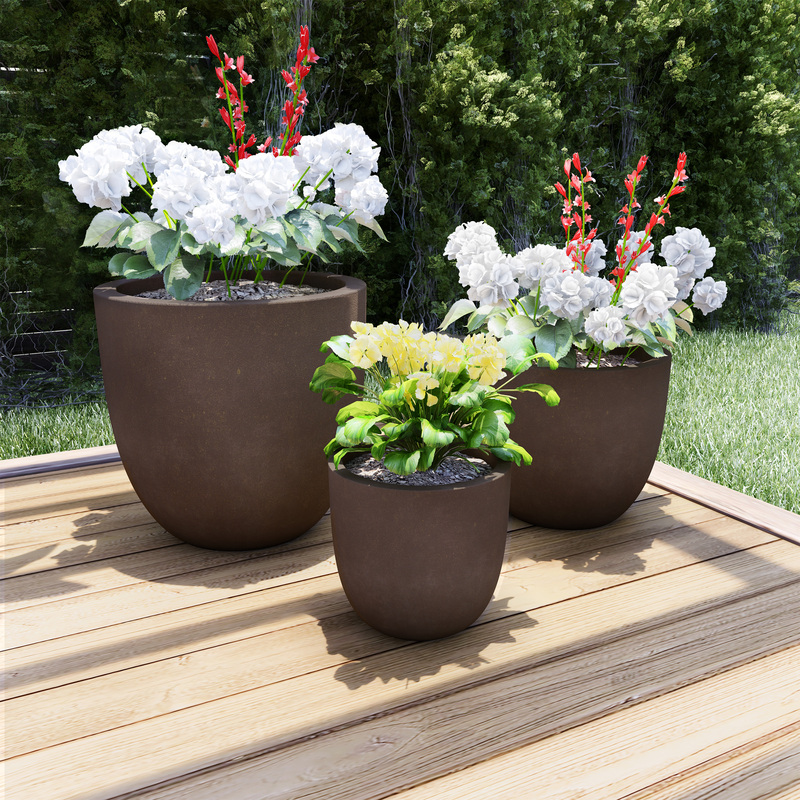 HAND FINISHED- Each planter in this three-piece set is hand finished and a different size. This gives each unit a unique look and individual character that is sure to complement almost any indoor or outdoor décor and bring beauty to your home. IMPROVED DRAINAGE- These pots are designed to be used both indoors or outside. Each planter features drainage holes so that plants aren’t damaged by excess water in the soil. A saucer or plate must be used indoors to catch water. PRODUCT DETAILS- Materials: Fiber Clay. Small Pot Dimensions: 9.75” Diameter x 9.25” H. Medium Pot Dimensions: 13.5” Diameter x 12.25” H. Large Pot Dimensions: 17.5” Diameter x 17” H. Combined Weight: 27 Pounds. Color: Antique Brown.